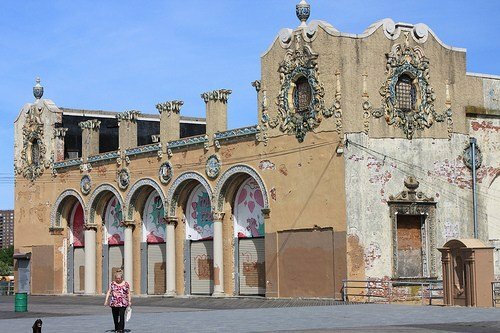 On June 12, 2018, Control Point Associates, Inc. was awarded the Lucy G. Moses Preservation Award in recognition of our role in the restoration of the Childs Building and Ford Amphitheater on the Coney Island Boardwalk. This award serves to honor exemplary preservation efforts and is typically granted to community venues like schools, hospitals, parks, and cultural organizations. The Childs Building was constructed in 1923 on the Coney Island Boardwalk as Childs Restaurant, and Spanish colonial architecture heavily influenced its design. After the restaurant closed shortly after World War II, the 60,000 square-foot venue endured decades of dormancy and storm and fire damage. 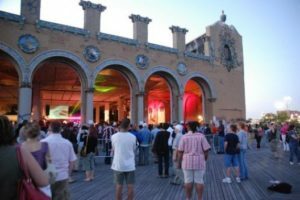 In 2012, the New York City Economic Development Corporation (NYCEDC) and iStar Financial Inc. decided to renovate the building and create a 5,000-seat amphitheater next door. iStar contracted Control Point Associates, Inc. to help design and perform interior renovations for historic preservation. 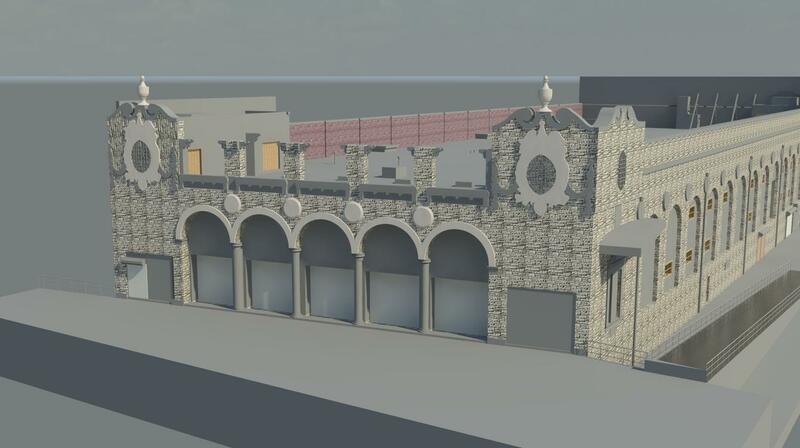 Required tasks included a 3D Revit model, a façade and interior building survey, a boundary and location survey, an ALTA/ACSM land title survey, and floor deviation plans. The project lasted from 2012-2015, and the restoration was officially finished in 2017. Today, the Childs Building houses Kitchen 21, a contemporary American restaurant that captures the spirit of the Coney Island Boardwalk. The adjacent Ford Amphitheater stands as one of Coney Island’s most fascinating buildings and hosts regular stage performances. Artists from Wiz Khalifa to the Beach Boys have concerts scheduled in the coming weeks at the venue. Thanks to Control Point Associates, Inc.’s outstanding work, the Childs Building and Ford Amphitheater are now essentials of the Coney Island Boardwalk experience for tourists and locals alike.